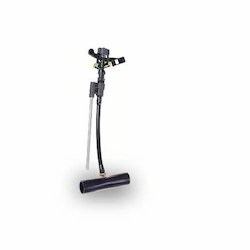 Leading Manufacturer of sprinkler nozzle, sprinkler irrigation system, irrigation sprinkler system, irrigation sprinklers, sprinkler pipes and mini sprinkler irrigation system from Rajkot. To meet diverse requirements of our clients in the best possible manner, we are offering a comprehensive assortment of Sprinkler Nozzle. Well acknowledged for its remarkable features, this sprinkle is highly demanded in the agriculture sectors. This sprinkle is manufactured by our veteran professionals using the premium quality raw material in compliance with the global quality norms. Clients can buy this sprinkle from us in varied sizes. CAPTAIN Sprinkler Irrigation System offers a complete line of sprinkler solutions for a wide range of crops.Best for closed spacing crops and undulated land. The Irrigation Sprinklers offered by us is known to be one of the primary preferences in the market. It is widely used for maintaining parks and gardens. 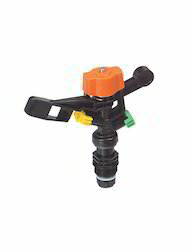 Plastic nozzles especially for vegetable crops. 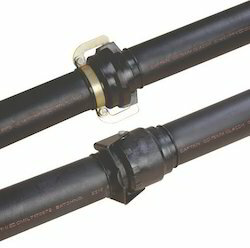 Sprinkler Pipes is mostly used as a water carrier for Agriculture. 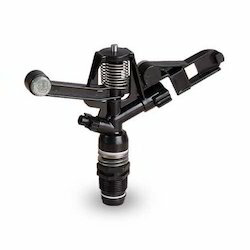 Precise application and adjustment of quantity and rate possible. Low pumping costs, operating at the same pressure as drip irrigation. Larger wetted zone than with drip irrigation thus plants are less likely to suffer from water stress should there be any delay in irrigation. Leaf disease impact is uncertain, leaves remain dry but relative humidities will be enhanced. Fertigation and chemigation can be utilized. Intermediate wetted area regarding weed control compared to drip and overhead sprinklers. Other management tasks generally not obstructed during irrigation application. Efficient utilization of limited water supplies and no runoff. Filtration is required but is not as critical as for drip irrigation.